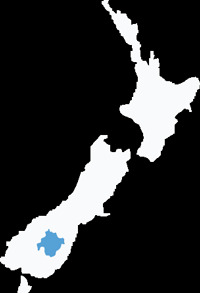 This is a full day, 210km round trip from Cromwell that explores the hidden Nevis Valley before circling around past Lake Wakatipu and back through the Kawarau Gorge. The road ascends to 1300m on the Carrick Range behind Bannockburn. There are wonderful views back over Cromwell, Lake Dunstan and the Upper Clutha Valley before the descent into the Nevis and the first of many river crossings. Numerous reminders of the history of the area are evident with dredge ponds and tailings, gold mines, dwellings, and cemetery. There are many places to stop and explore, where you can stroll along the river or discover hidden treasures of the past. The area is very isolated and to visualize the activity that went on over 100 years ago astonishes and stretches the imagination. 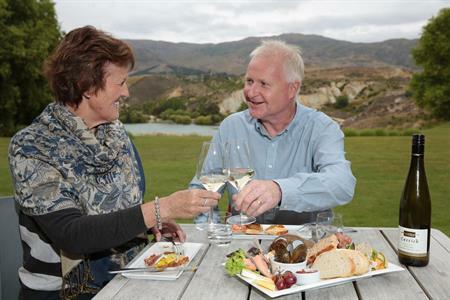 High on the Carrick and Hector Ranges you will be subjected to amazing Central Otago scenery with views to the Southern Alps. This barren, rocky landscape is dominated by native tussock, spaniard, and matagouri. 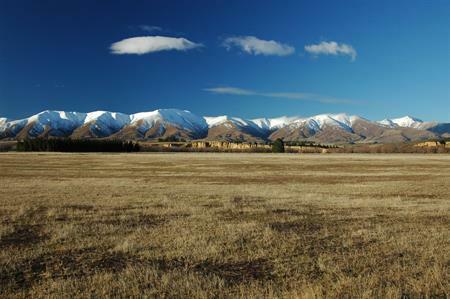 Enjoy this big, big country that is uniquely Central Otago. The valley is split by a steep, rocky gorge between the Lower and Upper Nevis. The Upper Nevis is more isolated. An alternative to the round trip, whilst still enjoying the breathtaking beauty of the area, is to return to Bannockburn and Cromwell from the Lower Nevis. The Nevis Valley section from Bannockburn to Garston is dry weather 4WD only and may be very rough in places with numerous fords. Traveling with a group or at least another vehicle is advised, as you are a long way from everywhere! This road is closed for the winter from early June to 30th September.